You may have heard of Botox™ and its ability to smooth out forehead lines and wrinkles, but did you know you can also get Botox™ injections for migraine pain or TMJ? At Rockwell Dentistry, in Middletown and Hamilton, New Jersey, the highly qualified dental team prescribes Botox™ for pain and dermal fillers to improve your facial contours or minimize lines around your mouth and nose. To learn more about these nonsurgical treatments, call Rockwell Dentistry or book a consultation online today. How does Botox™ help with migraines? Botox™ is a naturally occurring, highly purified form of botulinum toxin best known for its ability to smooth out facial lines and wrinkles by temporarily relaxing muscle movement. When you receive Botox™ injections in specific muscles in your forehead and around your eyes, it also enters into the nerve endings and blocks the release of chemicals that cause pain. As a result, Botox™ prevents the activation of pain networks in your brain to stop migraines before they begin. Botox™ is FDA-approved to treat chronic migraine pain in adults over age 18. The effects are temporary, usually lasting about 12 weeks, but a series of Botox™ injections over the course of several months can greatly reduce your migraine pain and symptoms. How does Botox™ relieve TMJ pain? Temporomandibular joint (TMJ) pain often leads to sore jaw muscles and headaches. Botox™ relieves this pain and tension by making your muscles unable to engage in the movements that cause headaches and jaw pain. You’ll still be able to move your jaw and the rest of your face naturally, but your muscles become less tense and more relaxed as a result of Botox™ injections. Your dentist injects Botox™ into specific areas along your jaw to promote the release of tension in the muscles. After just 24-48 hours, you experience a noticeable difference in jaw tenderness. As an added benefit, your skin may also appear smoother and less wrinkled. Dermal fillers help improve your facial contours by plumping up your skin and smoothing out lines and wrinkles. If you wish to improve the look of smile lines, vertical lip lines, and other areas around your nose and mouth as a way to complete a smile makeover or simply when you want a more youthful appearance, dermal fillers can help. Like Botox™, dermal fillers are FDA-approved, safe, and take just minutes to receive in the office. The team at Rockwell Dentistry explains Botox™ and dermal filler injections at your consultation with regard to your specific areas of concern, whether it is TMJ pain, migraines, or enhancing your overall appearance. 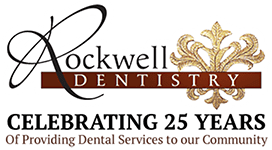 To learn how you can benefit from these advanced treatments, call Rockwell Dentistry to schedule a consultation or book an appointment online today.